From career development to career fairs to brainstorming ideas, we are here to help you. Through collaboration with the MSOE community and partners, MSOE Career Services provides innovative and inclusive resources and services to educate individuals on strategies to finding value and meaning in their current and future professional careers. MSOE Career Services is a resource for our community partners for developing meaningful and productive relationships. MSOE Career Services, in concert with the vision of the university with setting the standard for preparing leaders to solve the diverse technical challenges of the 21st century, will provide state-of-the-art resources and services to empower individuals to achieve their respective professional goals. MSOE students and alumni, we are happy to support and help you with developing a plan to meet your career goals or objectives, ranging from resume reviews, mock interviews, Handshake assistance, networking best practices, and so much more. Our office has an open door policy, so feel free to visit us any time during office hours or schedule an appointment. Employers, we will connect you with MSOE talent online and in-person. We utilize Handshake so that you may share internship and career opportunities with the MSOE community. 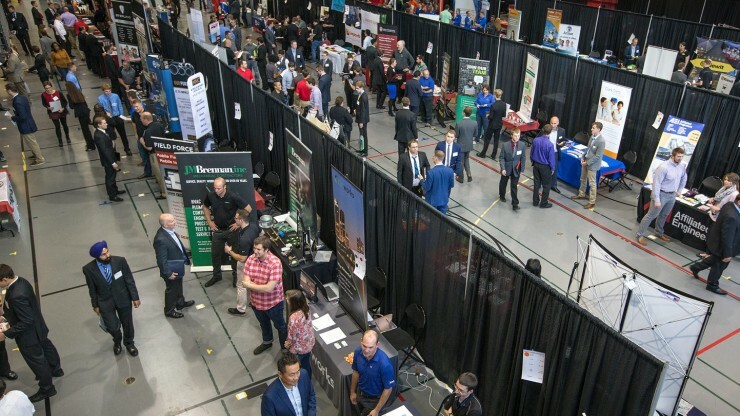 We organize our Annual Career Fair in the fall term so you may connect face-to-face with students, alumni, faculty, and staff. We will also assist you with our on-campus interviews process, information tables, and brainstorming for innovative events. Faculty and Staff, we are here for you too, from connecting you with industry partners to presenting in your classes. We can discuss the latest hiring trends and statistics as well as brainstorm ideas for your departments. Collaboration is our middle name.